Our meetings are open to anyone who has an interest in prostate cancer. This includes men with prostate cancer, their partners, family members, carers and friends. 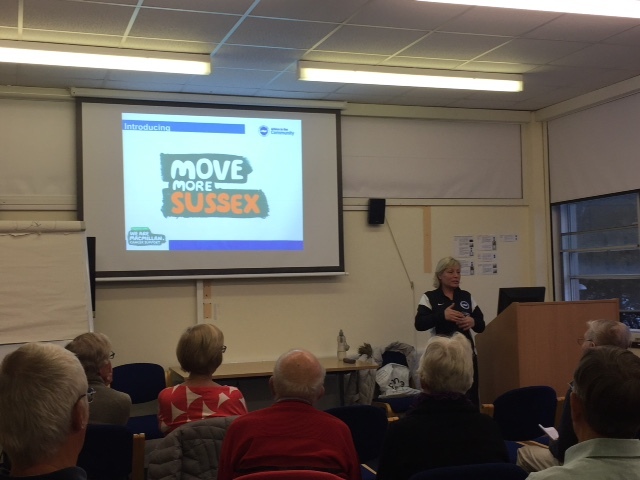 We meet five times in the year, usually on a Thursday, at 7.00 pm in the Education Centre, Eastbourne District General Hospital. See below for dates of our forthcoming meetings. These alternate with the Bexhill support group dates where possible. The Education Centre is on the first floor of the hospital and can be easily accessed by stairs near the 53.3 degree North coffee shop to the right of the main entrance. You will see PCaSO signs to direct you to the venue. You can use the lift to access this floor as well. Please contact us if you need further information about using the lift. Meetings are normally concluded by 8.30 – 8.45 pm. The meetings usually comprise a talk from a guest speaker with time for questions either during the presentation or afterwards. We then have refreshments and a raffle which allows time for more informal discussion with other members and the guest speaker. Speakers are normally health care professionals or people connected with prostate cancer in their work role. Occasionally, we have an open forum meeting but it is up to you how little or much you want to say about your experience of prostate cancer. The emphasis and purpose of the meetings is to share information and learn more about living with and beyond prostate cancer including the consequences of and side effects of treatment, for example, improving bone health, coping with weight gain. If you drive to the meetings, you are entitled to free car parking tokens at Eastbourne DGH as you are attending a cancer support group. Please collect your token from the Car Parking office near the car park entry barriers. You will need to do this on arrival as the office closes at 8.30 pm. 5 September - ED treatment following prostate cancer treatment. Are we getting it right? Simon Tyler-Murphy, Lead Urology Nurse, Conquest Hospital, Hastings. John Proctor runs PCaSO meetings in Bexhill. He can be contacted for further details on tel. 01424 532866.